We’re along Highway 1 (Hwy 1), less than a minute from Exit 109 (Yale Road West). Just drive 9 to 10-minutes past Whatcom road, and look for our Tulips of the Valley signs. Make sure you spot the City of Chilliwack sign and take the next exit. STEP 1: Follow the Trans-Canada Highway (Highway 1) East. Once you pass Abbotsford, take Exit 109 (Yale Road West). STEP 2: After the exit, you will turn right onto Yale Road. STEP 3: Then turn right once you reach Royalwood Avenue. The entrance to the festival fields will be at the corner of Yale Road and Royalwood Avenue. 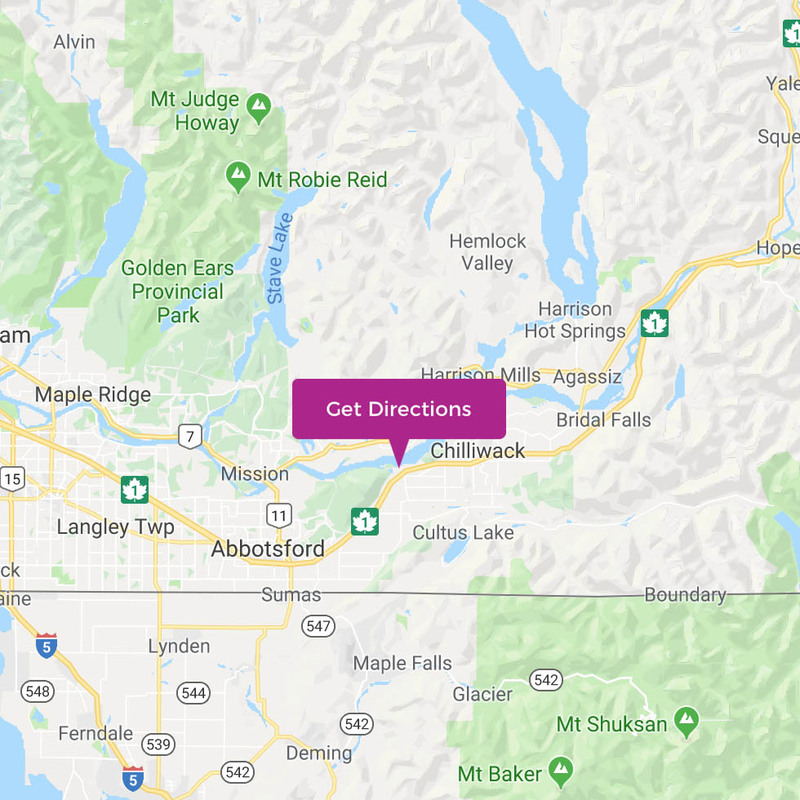 STEP 1: Follow Highway 99 South, Take exit 37 for BC-91 E toward Delta/Surrey, Follow signs to Hwy 17 East to Hope, Take the British Columbia 1 E exit toward Hope. STEP 2: Remain on Highway 1. You will go past Abbotsford. Then, take Exit 109 (Yale Rd West). STEP 3: After the exit, you will turn right onto Yale Road and then turn right onto Royalwood Avenue. STEP 1: Follow Highway 97C to Merritt. STEP 2: Once you reach Merritt, head south on the Coquihalla. Take Highway 5 to Hope. STEP 3: Once in Hope, follow Highway 1 and take Exit 109 (Yale Rd West).. STEP 4: After that, turn left onto Yale Road and then turn right onto Royalwood Avenue. STEP 1: Take Interstate 5 (I-5) North, towards Bellingham. STEP 2: Then take Exit 256A and turn on to Highway 539 North (or Guide Meridian), to Lynden. STEP 3: You will then take a right and turn East. Follow the signs for Sumas/the Canadian border crossing. STEP 4: Once you cross the border, follow Highway 1 East, for about 11 miles, then take Exit 109 (Yale Rd West). STEP 5: After that, turn right onto Yale Road and then turn right onto Royalwood Avenue. Note: Remember to bring your updated Passport or enhanced drivers licence (EDL) if you’re crossing the border. Sometimes, the Highway can get backed up from Vancouver before Whatcom Road, but don’t worry. We have an Alternative Route! Follow our 7 EASY STEPS! STEP 1: Take the Sumas Exit and head south. But this time, turn Left onto Vye Road. Follow Vye Road for about 10 km (6.2 miles). STEP 3: Turn right on Wells Line Road and continue along as it turns into an Interprovincial Highway for about 5 km (3.1 miles). STEP 5: Turn right onto No. 3 Road, travel 1.1 km (0.6 miles). STEP 6: Then, turn left onto Boundry Road. You will go over the bridge onto Keith Wilson Road. STEP 7: Take the first left onto Chadsey Road. Travel about 3 km (1.9 miles) and turn left onto Yale Road. The great news is all parking is Free! We have regular parking available. Also, limited handicap parking (with appropriate decal), right by the entrance to our fields. Bus parking is also available 7 days/week. Get the insider info on our upcoming festival events and promos! Consider Signing Up For Our Newsletter!